"First came the days of the plague. Then came the dreams. Dark dreams that warned of the coming of the dark man. The apostate of death, his worn-down boot heels tramping the night roads. The warlord of the charnel house and Prince of Evil. His time is at hand. 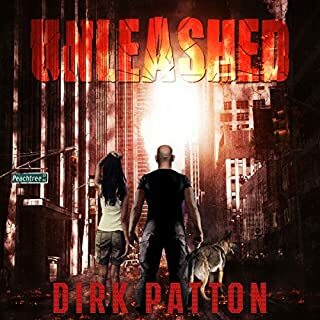 His empire grows in the west and the Apocalypse looms." 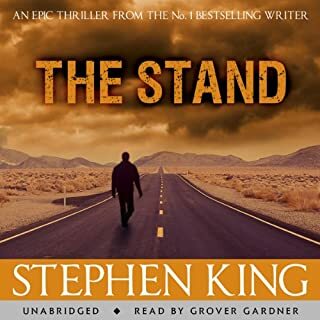 For hundreds of thousands of fans who read The Stand in its original version and wanted more, this new edition is Stephen King's gift. Best story I have ever read! Loved the audiobook - had to give it a few minutes to get used to the voice and after that I was hooked. The beginning when Franny was digging in the garden with her dad and telling him she was pregnant and his reaction. If you could take any character from The Stand out to dinner, who would it be and why?